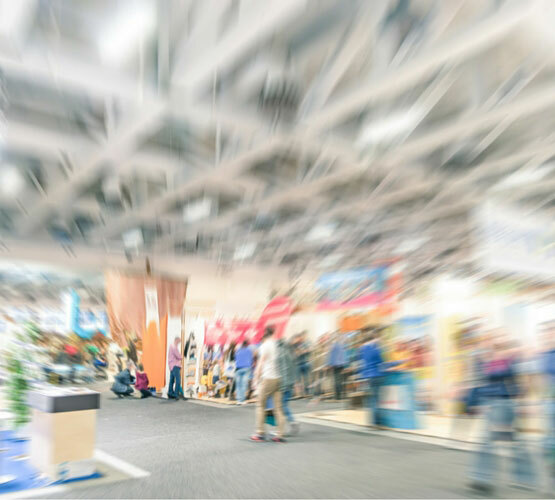 No matter what industry you’re in, chances are you attend at least one trade show a year. They are the ideal venue to present new products and services, and most importantly, create lasting business contacts. However, establishing new relationships and making an impression on a crowded exhibit floor can be challenging. A booth alone won’t entice everyone to stop by, which is why you need to reach out to fellow attendees well in advance of the show. A solicitation mailer is the perfect way to say that your business will have a presence at a show. It will also help attendees plan ahead. If they already know who you are and what you offer, they’ll be more inclined to schedule a visit to your booth. Of course, you won’t be the only business sending out mailers, so make sure yours stands out and isn’t immediately relegated to the recycle bin. Create something exciting, outside the box, and interactive. If the budget allows, provide a physical item with your invite, something that plays to your business, or a product or service you provide. An envelope that has weight or shape to it is more likely to be opened. It’s not only the design of the mailer that needs to be developed. You need to generate an accurate mailing list too. Try to get the names of all attendees and registered booths from show organizers. Look over what you’re provided and identify top targets. Follow up your mailer with e-blasts or phone calls to schedule meetings with those top names. Finally, devise a post-show strategy. Just because your business had a successful showing doesn’t mean the work is done when you pack up the booth. The prospects you connected with will likely leave with a pocket full of business cards, so it’ll be up to you to follow up with them. Keep track of the contact information for every person who visited your booth, and send him or her a thank you note when you get back to the office. If feasible, a handwritten letter will appear much more personal than a generic typed note that everyone receives. Designing a compelling pre-show mailer and creating a solid post-show strategy can be a daunting task, but you don’t have to do it alone. Harmon Group helps clients establish and maintain strong and profitable trade show presence. Call us today to discuss how you can be prepared for success at your next show.